Understanding that the latest advances in technology affect all facets of our lives, Dr. Russ Birdwell has embraced and mastered new technologies in the surgical sciences to expand the treatment options for his patients. 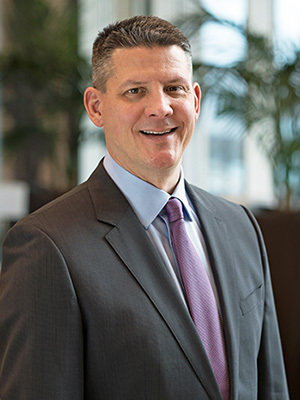 By using advanced laparoscopic and robotic techniques, Dr. Birdwell has significantly improved surgical outcomes and reduced recovery times in his patients. Dr. Birdwell was raised in Garland, Texas, and graduated from South Garland High School. He attended Texas A&M University where he played football under head coach Jackie Sherrill. He was a member of the 12th Man Kick-off Team and a teammate of the 1985, 1986, and 1987 Southwest Conference Championship football teams. After attaining his bachelor degree from TCU he pursued his medical degree at Texas Tech School of Medicine and completed his general surgery residency training. During his tenure at Texas Tech, he was influenced by renowned surgeons Dr. G. Tom Shires and Dr. John Griswold. Since entering private practice in 2001, one of Dr. Birdwell’s highest priorities has been creating a positive experience for patients in his surgical care. He is committed to providing the highest quality and technically advanced surgical interventions in a truly compassionate and caring manner. His reputation for his comforting bedside manner and caring attitude has made him highly regarded for surgical treatment and intervention. Participating in a challenging and ever-changing medical profession, Dr. Birdwell attests: “One of the most fortunate aspects of my life is that I have found a career I love! I have the opportunity each day to impact the lives of members in our community and further their health.” This attitude along with surgical expertise has propelled Dr. Birdwell to be considered one of the leading surgeons in the North Texas area. 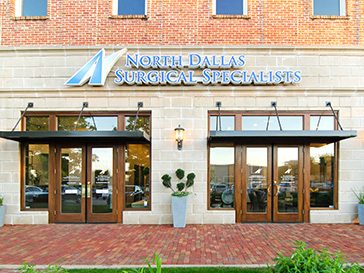 North Dallas Surgical Specialists, P.A.